We hope you enjoy your online visit. If you are located outside North America, please note that prices in our Online Store reflect the cost of doing business in the United States and Canada. Your cost may be higher. Please call or email for details. 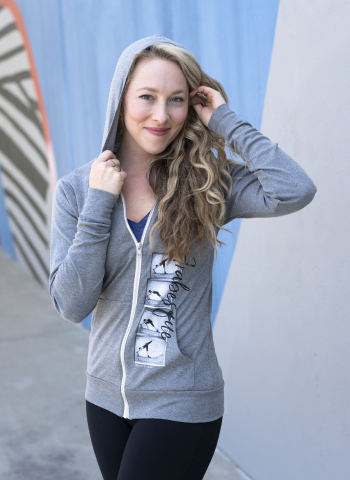 Lightweight and perfect to throw over your tank top in a chilly studio or at night. Features a kangaroo pocket and ribbed detailing. Poly/cotton/rayon blend. Machine washable.